A lightly sweet sake with good acidity and lively freshness. The brewery works with organic rice grown in the same province, though it cannot be labelled that way stateside. This is the limited release of Shinshu, the sake equivalent of nouveau. Available only when freshly finished in the wintertime from the first completed batches of sake. Get some while it lasts. "Limited Edition Funaguchi "New-Rice New-Sake" "Shinmai-Shinshu" has arrived! 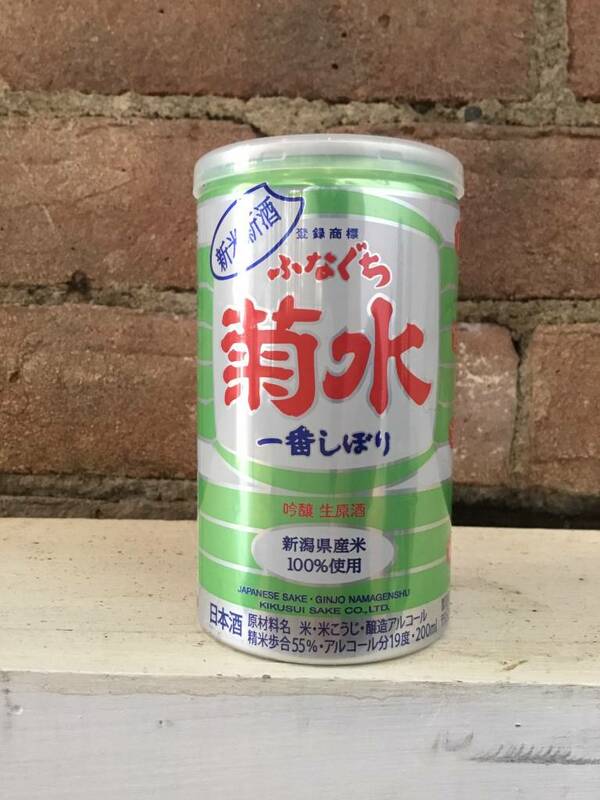 Brewed using 100% newly harvested, locally grown Niigata Gohyakumangoku rice, this is a Funaguchi Experience you can only get your hands on once a year. 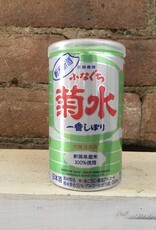 A rich and electrifyingly vivid treat for lovers of super fresh namazake. With 130 years of history on their shoulders, the Kikusui Sake Company of Niigata prefecture built themselves up from the bottom. The name "Kikusui" is a reference to a Noh theatre play, wherein the dew (Sui) from the petals of chrysanthemums (Kiku) grant eternal life."